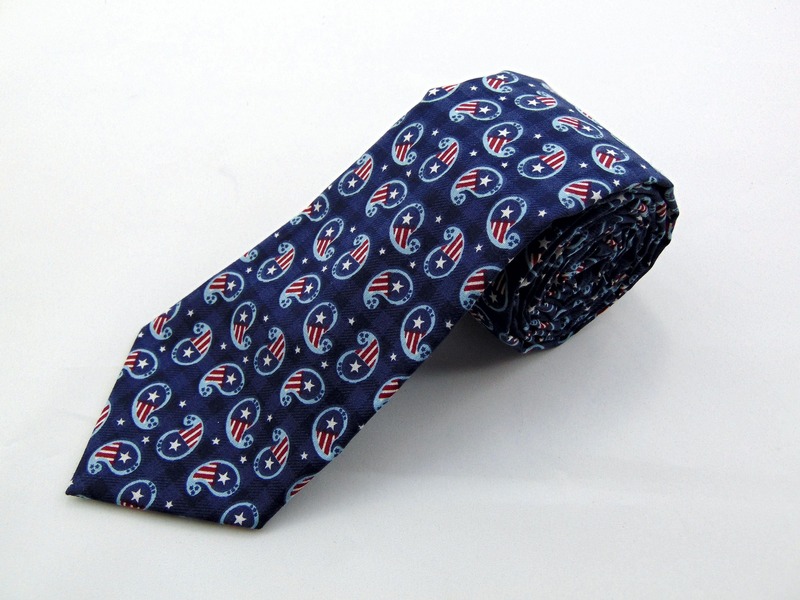 4th of July Ties – Mens Red White and Blue Paisley Independence Day Tie. 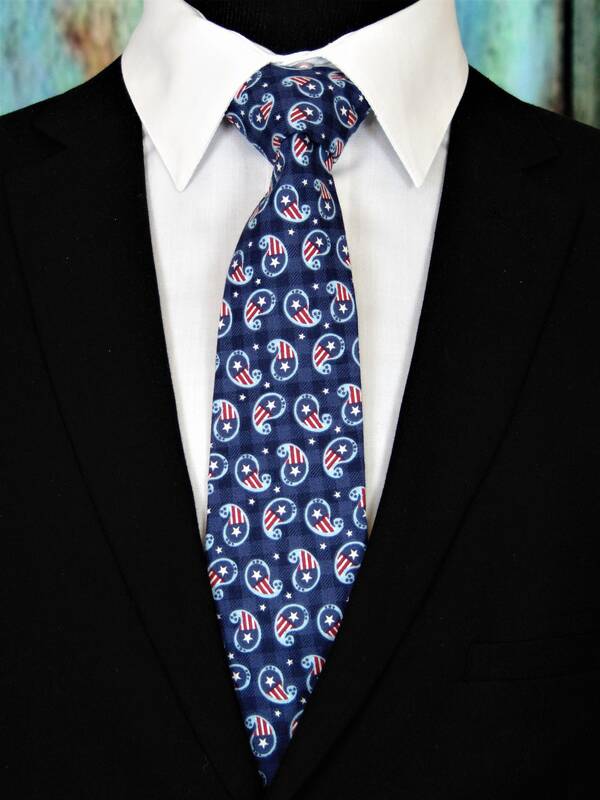 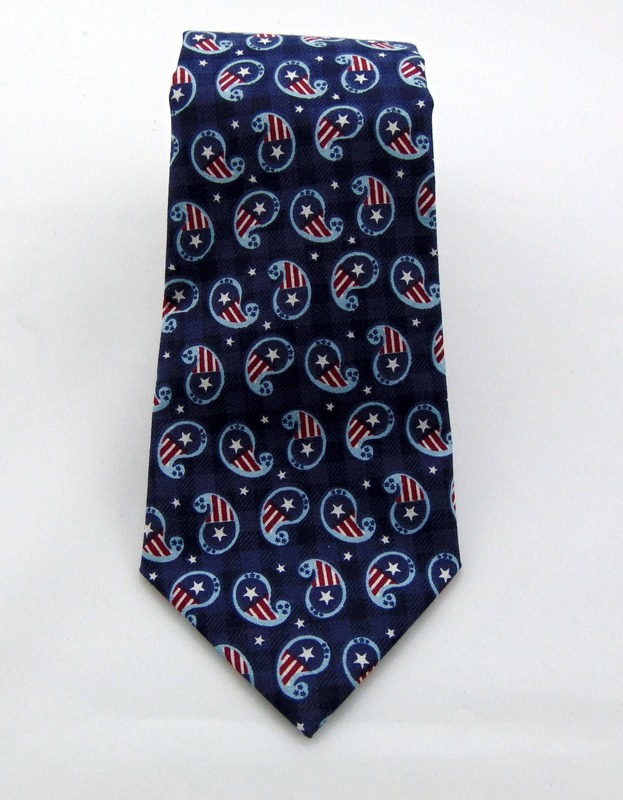 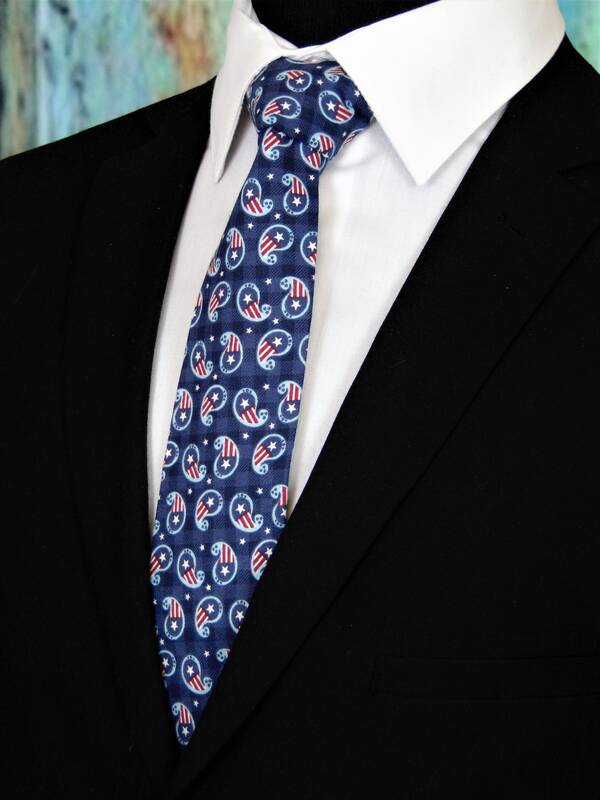 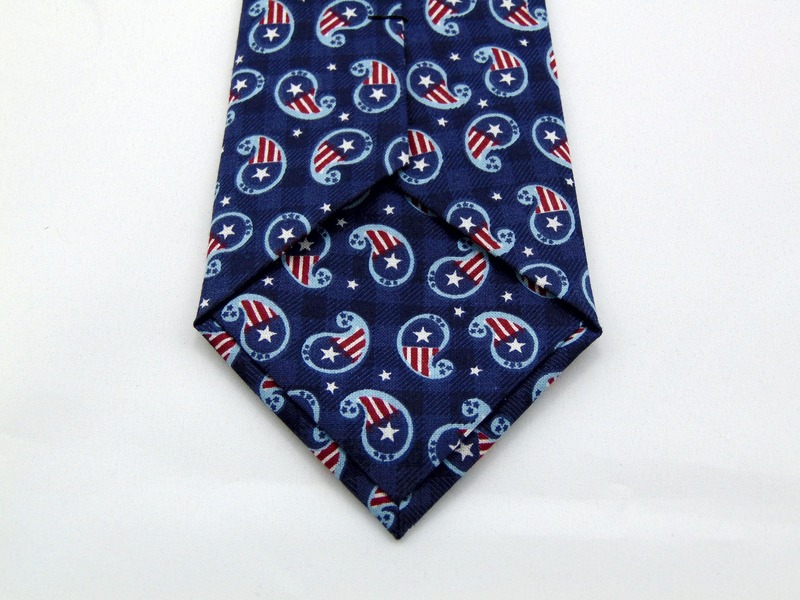 This 4th of July inspired Ties features a blue background with red, white and blue paisley pattern. 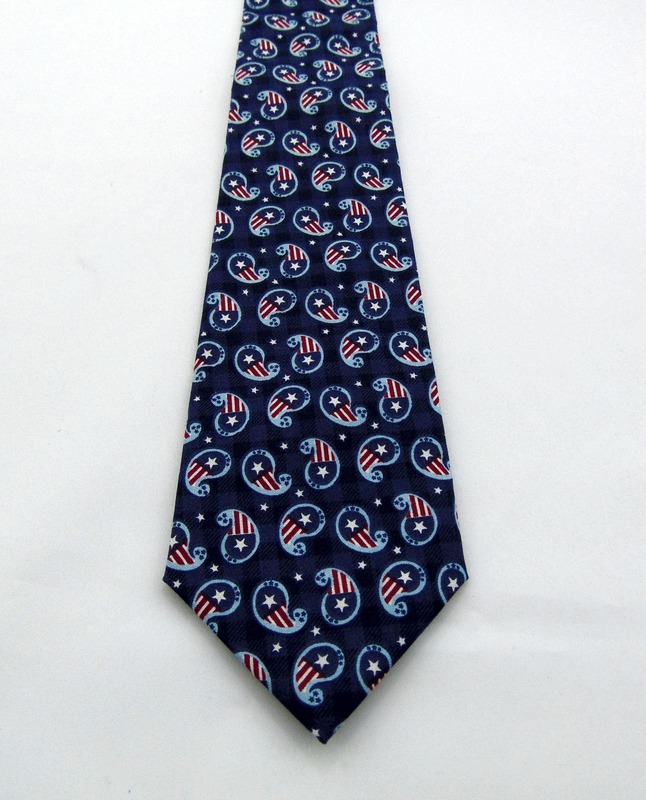 Available as a extra long tie and a skinny tie.